When Danielle started out, her pricing was all over the place. She was very 'willy nilly' and her pricing was low. Danielle realized she couldn't 'wing' her quotes anymore because it wouldn't look fair or professional to clients who knew that other clients had been charged less. She needed a system to manage her pricing, so she wrote her prices in a basic Word document so she could refer to it each time she quoted a project. My first real 'client project' was a $150 blog design. I then went on to book five extra clients by offering a special $50 blog design deal on Twitter. Yes, these prices are ridiculously low. But they were just right for the level I was at. Lesson: It's OK to charge low when you start out. You're not entitled to 'big money' because you feel that's what you're worth. Danielle believes in charging what you're worth but it comes with experience and confidence. When you're just starting out, it's OK to work for free or for a lower price if you're doing it to build your portfolio and build your clientele. If you feel you're getting high value from it, do it! For example, Danielle did free work for a Yoga business when she first started out. It gave her something to put in her portfolio and they became a paying client! 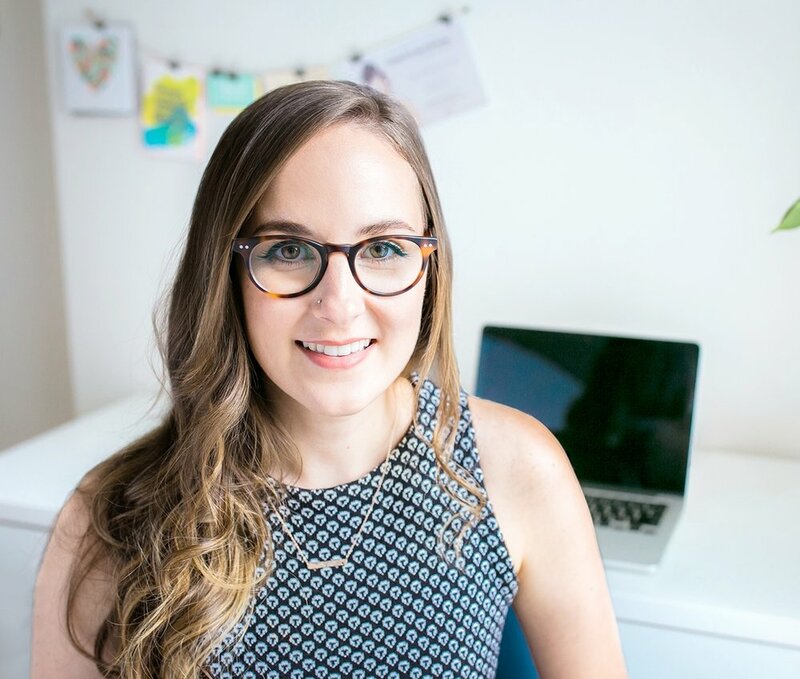 When Danielle starts to feel like she's getting plenty of client inquiries coming in and people are really excited to work with her, she takes it as a sign that she can up-level her pricing. She also gets a gut feeling when the time is right to raise her prices. When your intuition is telling you that you work hard and deserve to be paid more for it, it's the right time for a price rise. One way to boost your prices is by adding small services to them. Danielle noticed her clients didn't just want logos and websites, they wanted brand collateral items like social media graphics or business cards. Danielle added collateral pieces to her packages to increase the price and provide her clients with more value. She also added Style Guide's to her packages to boost the perceived value. If you already provide your clients with a Style Guide but you don't state it as a deliverable in your packages, add it to boost the perceived value of your service in your client's eyes. When potential clients see you offering 'more' in your package, they will be more willing to pay a higher price. The easiest way to boost the value (and price) of your packages is to add an ebook, training or workshop to the package! You only have to create it once and it gives you a reason to boost your package prices. Danielle's biggest fear is that no one will want to hire her. But she doesn't only feel this way when she raises her rates - she felt this way when she initially listed her prices on her website. However, listing her prices on her website was a total game changer for Danielle. Stops people from getting in touch with you if they can't afford you. Cuts down of hours of communication with people who can't afford you. Keeps things transparent and honest with potential clients. Most clients will reach out to freelancers who LIST THEIR PRICES ON THEIR WEBSITE before reaching out to ones who don't. Why would a client want to reach out and invest time in having a conversation with you if they don't know if they can afford you? When clients don't see prices, they sometimes assume it's going to be super expensive. Transparency is the key when pricing your services! Don't hide your pricing from your potential clients. 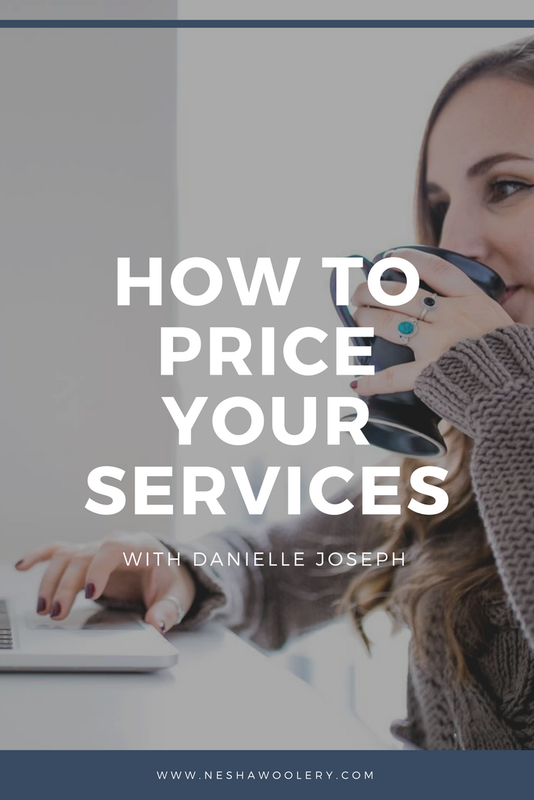 Danielle does factor in time when working out her prices, but she also factors in how much her clients value her service. There are clients at every price point. Some freelancers charge $100 and others charge $10,000 for the same service. What matters is the clients you're targeting and how much they value your service. If you're going to charge higher prices, you need to improve your client experience. It should involve adding more steps in your process, more technicality, more quality and more attention. For example, a bride buying a $30,000 wedding dress from a high-end designer shop would probably not only get the dress but a glass of champagne, amazing customer service, a complimentary gift with purchase, and a gift on her wedding day. The bride wouldn't expect this from a standard bridal shop charging $500 per dress, but she would definitely expect this kind of client experience for $30,000. Remember: Your clients expect a better quality experience if they're paying higher prices. 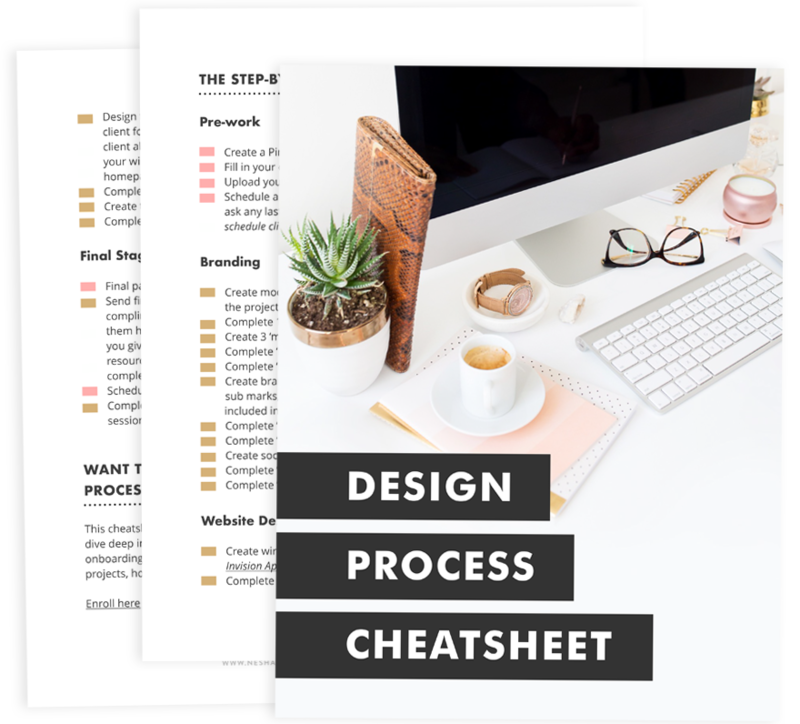 If you're not sure how to improve your client experience, you can learn how in my course, Organize & Automate! Danielle has worked with amazing clients like Screw The Nine To Five. She makes herself a part of communities like the Screw The Nine To Five community. When you join smaller communities, especially paid ones, there is more opportunity for you to make yourself and your expertise known. 01. List your prices on your website. Stop making it hard for potential clients to get in touch with you. If they see they can afford you, they'll be shooting right into your inbox! If not, they'll leave your site and you will have saved yourself hours of communicating with someone who isn't going to work with you. 02. Add to the perceived value of your packages so you can boost the price! Spend one day creating a product you can add to your packages to boost the value and the price. Think of what your clients need to do after working with you and create a product they can use to help! For example, if you design websites, create an ebook on SEO, writing high-quality blog content or using Wordpress! If your product will help them on the next step of their journey, it will add a lot of value to your service in their eyes. It will also put your packages well ahead of your competitors! 03. Join a paid community. One of the best ways to find high-quality clients is inside a premium membership. No, that isn't a free Facebook group. It's a paid membership where all members pay a monthly fee to learn something. Since everyone is paying, it means they instantly value their businesses more than the average business owner. They're high-quality clients-in-waiting! "I’m the face and creative behind Function Creative Co. – a one-woman creative design company. Function Creative Co was born in April 2014 and has been picking up speed ever since. It took me two full years to build up my business to a point where I felt comfortable diving in full time. But it really started even well before that. I’ve always been a creator. Since I could hold a pencil in my hand, I was a maker of things. I wanted to be an artist, then a cartoonist. Now, after over 7 years of post-secondary education in marketing, communications + design, I’ve landed in the realm of creative designer, artist + maker. I love to make things look beautiful, but it’s also important to me that every design decision has a purpose. Practicality is the name of my game. "